Kurnool is called as the Gateway to Rayalaseema and is one of the most populous cities (5th) in India. Located in the state of Andhra Pradesh, it derives its name from “Kandanavolu”, the city known as “Kandenapalli” or “the city of Kandena” meaning grease in Telugu. It is also referred to as Kannadu/Karu (black) and as the city of Skanda (chief of warriors).Though it is populated, it has old world charm and the not-so-explored- tourist attraction with a mix of natural and manmade structures. Belum is derived from bilum which means caves in Sanskrit. 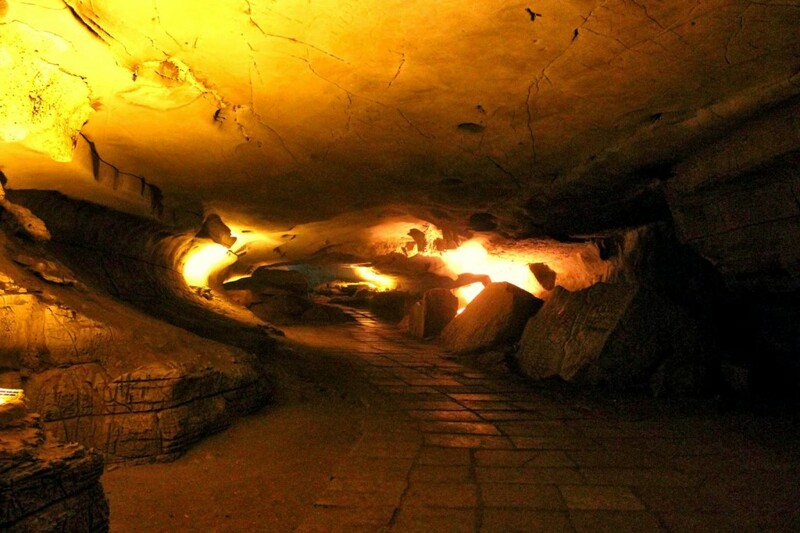 The underground caves are located some 60 km from Gandikota. They are naturally formed art-work of the nature with stalactite and stalagmite formation adding more to the elegant beauty. The only second in the area after Meghalaya caves, they are beautiful and exquisite in formation and have three deep cavities. These caves are as large as 3229 meters with the middle cavity serving as the entrance to the cave. The musical chamber, simhadwaram, mandapam, Banyan Tree Hall, maya mandir, Koti Lingalu, meditation hall, banyan tree hall are the attractions of the caves. Patalaganga is the deepest of the section of the cave, 120 feet from the entrance. If you are visiting these caves please make sure you have around 2 hours to completely check this wonderful place. Keep enough water for the time. If you have kids with you, don’t take them after 180-200 meters as that can be a bit risky for them. Oxygen is less at the deeper places, thanks to the air vent, though. As the name suggests, Mahanandi is a temple where you can find the majestic statue of Nandi (lord Shiva’s vehicle), the biggest temple ever of Nandi. The temple is dedicated to lord Shiva-Mahanandiswara Swamy. It is said that the temple was built in 7th century by the Chalukya dynasty. Over the period of time it has been repaired and restored by various kings. The highlights of this temple are- the two water-pool called as pushkarni or kalyani, two on either sides of the gateway and one inside the temple, that people believe to have the miraculous properties, the source of the crystal clear uninterrupted water supply throughout the year remains a mystery. You can take a holy dip in the water pool. The Nava Nandi temples that you should visit are (in that order) – Prathama Nandi, Naga Nandi, Soma Nandi, Surya Nandi, Siva Nandi, Vishnu Nandi, Garuda Nandi, Maha Nandi, Vinayaka Nandi. A long 7 days festival occurs every year in the month of February or march to mark the occasion of Shivaratri. The fort was built in 16th century by Achyutarayalu, brother of the king of Vijayanagar, Krishna Devaraya. The fort was used by the Britishers as a prison. The valiant and the rebel prisoner Konda Reddy had his last breath here and so the name of the fort. Once surrounded by dense forest, the fort is now in the middle of the town! Made up of the red stones, less use of cement can be seen. The fort is very well maintained and also houses two ancient temples. A beautiful view of the city can be sighted from the top. The tunnel across the river Tungabhadra to Alampur can be seen even today. The fort is the favourite location for the film makers and many of the film scenes have been shot here. 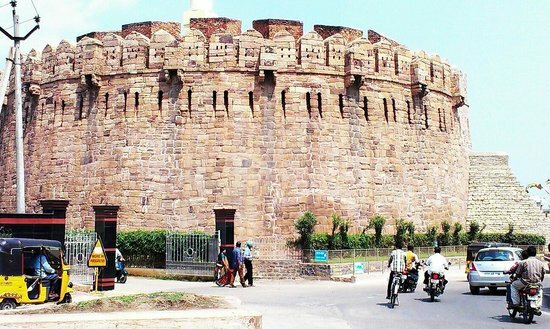 Another fort to visit is the Adoni fort in the city of the Adoni. It was founded in 1200 BC by Chandra Sen. It stands tall on five rock granite hills. It was once the capital of Vijayanagar kingdom and was the stronghold during their rule. The bird sanctuary is the treat for eyes for the bird lovers. You can find number of fascinating species of native and migratory birds and one of the most beautiful birds that you can see is the Great Indian Bustard. The 614 sq.km of the thorny forest and grassland is a homeland for the variety of the birds. Apart from the birds you can see the other animals too. Sparrow, mynah, Indian rollers, Indian jackal, Indian florican, wild boars, vipers, Indian courser, black buck, foxes, wolves, cobra are some of the creatures that you may come across. You can stay at the forest guest house and spend a good time amidst the serenity. The food you are served is simple and homely. Though it is advisable to plan your visit from morning to evening to go back by the night as sometimes there are no rooms or food available. Enjoy sunset point at Alaganur reservoir. A beauty that will surely leave you wanting for more.It is recommended that you plan your visit between October to February when the migratory birds are in abundance. The tiger reserve as it is called as but expectation of spotting a tiger is not always the same. You may or you may not! But other than that you can witness many other creatures enjoying the gala time in the natural habitat without any boundary or any interference from the humans. You can spot Nilgai, birds, deers, monkeys, etc. 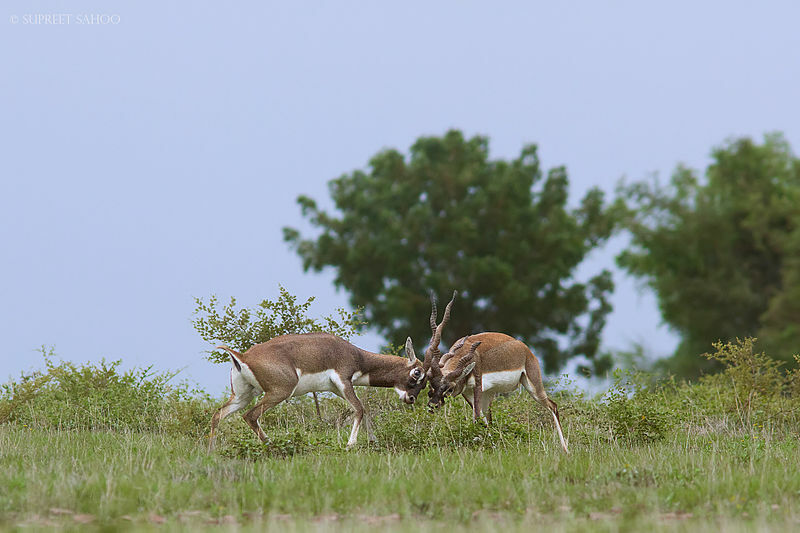 You can get a safari at a reasonable cost for one or one and half hours to enjoy a round trip to the reserve. It is recommended that you plan your trip during the sunlight so that the spotting is better and clear. Not many people visit this place but if you are a nature lover and love to see animals, this is it! Running parallel to the Coromandalam coast over Kurnool, the hills are the part of the eastern ghats. 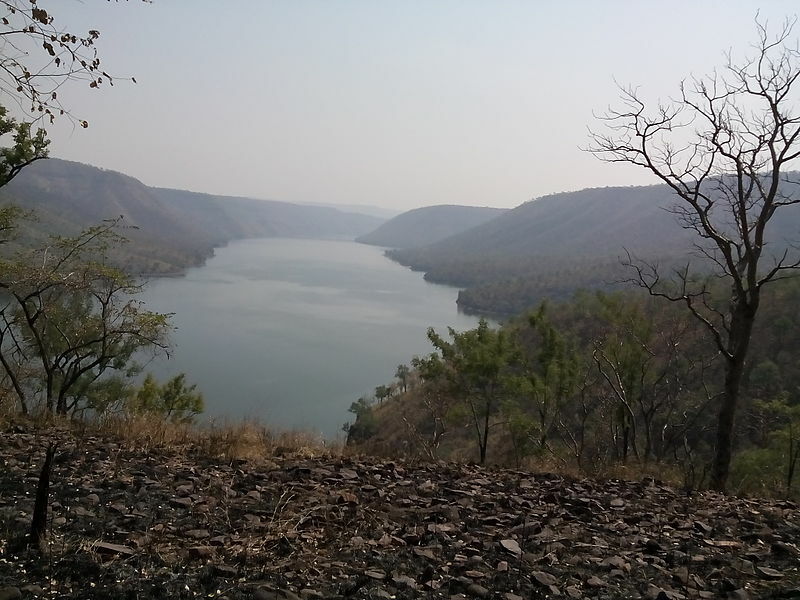 The largely extended forest area is surely going to mesmerize you head over hills, the beauty of the nature is intact and the air so clean to make you fall in love with its silent and serenity. Sikhareswaram at the height of 2835 ft is the highest peak in the Nallamala hills. The undisturbed and untouched stretch of the forest has the calmness that anyone would crave for. Spending sometime here is surely going to rejuvenate you to the core. There is a Cumbum lake that belongs to 15th century and is considered as one of the oldest man-made lakes in Asia. There is also a ancient Shiva temple. It is believed that Lord Narsimha killed the Hiranyakashyap on the behest of the Prahlada’s prayers. 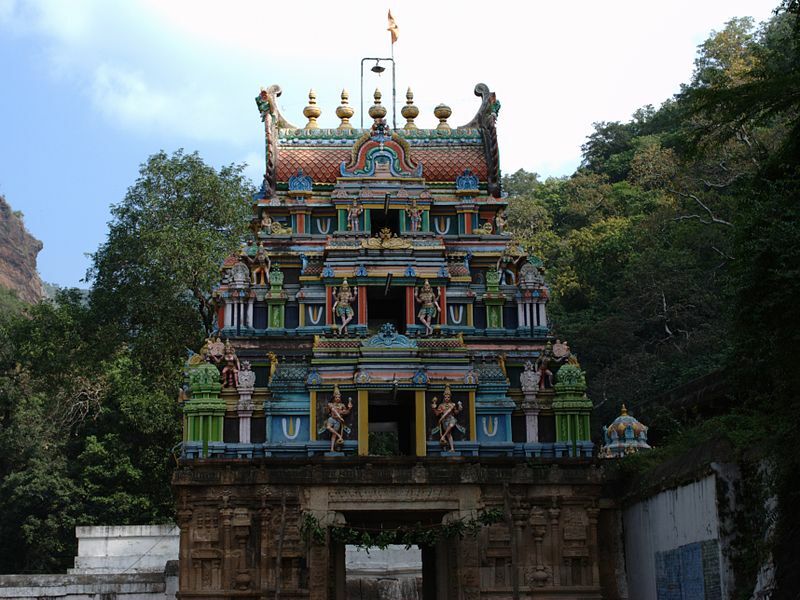 There are two temple houses- lower Ahobilam and upper Ahobilam and nine Narsimha temples (Jwala, Ahobilam, Malola, Varaha, Karanja, Bhargava, Yogananda, Chathravata, Pavana) around the Nallamala forest. It is one of the most beautiful places you would come across the whole Kurnool. Whether you are religious or not, the place the charm that you attract you to the fullest. There are many adventurous activities to do here other than visiting all the nine temples. The Ahobilam Narasimha is the Swayambhu (self manifested) in the man-lion form, the one who killed the Hiranyakashyap. The Jwala Narasimha is the place where the lord ripped apart the demon. While visiting the places, it is good to have a knowledgeable guide who can help you explore this place for better. Ugra Sthamba is the highest point and is believed to be the place from where Narasimha came out to kill the demon. For sure, this place has an excitement in itself and is going to add thrill to your trip. Yaganti is full of amusing and interesting facts. 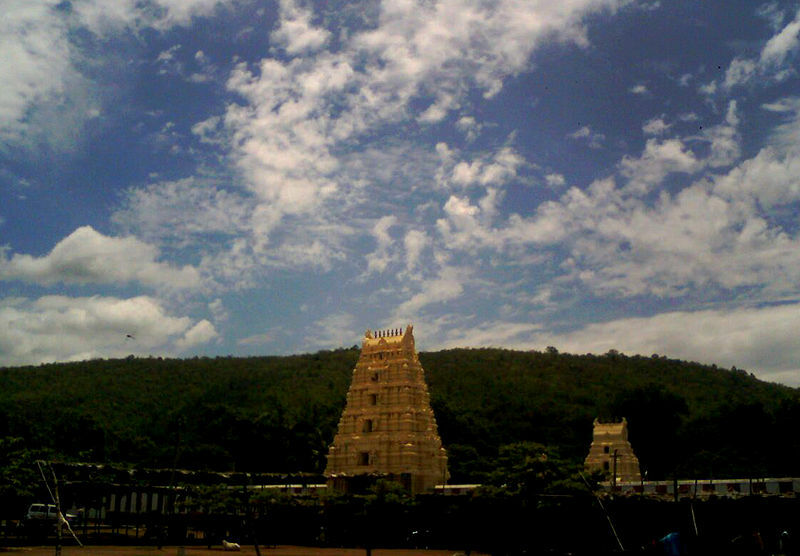 Known for the Sri Yaganti Uma Maheswara Swamy Temple, it was built in 5th century and is dedicated to lord Shiva. This is the only temple where lord Shiva is worshipped in Ardhanareshwar avtar. It is located nearby Belum caves so visiting Yaganti makes perfect sense. There are many other temples surrounding the Uma Maheswari temple and they are worth visiting. Amongst the temples that you must not miss are the Agastya Cave, Veera Brahmam Cave. The growing Nandi (Yaganti Basavaiah) is a fascination in itself as if we go by the Archeological dept, it is still growing. The Venkateshwar cave has a lord Balaji’s statue whose thumb finger nails are broken. And, even more amazing is that this place is termed as ‘no crow flying zone'( Saint Agastya’s curse). Wow! You would take around half a day to visit the temples and explore them completely. A guide is recommended especially for the people who don’t speak Telugu. Temple timings are 6am to 1 pm and 3 pm to 8 pm. The best season is the rainy season to visit. Mantralayam is one pious and revered place as it is the samadhi of the saint Ragavendra and it is considered to be one of the most visited places in Kurnool. Located on the bank of river Tungabhdra, Mantralaya has a beautiful infrastructure to offer you. This is where the saint attained the Jeeva samadhi. It also has the samadhi of his grandson.You get good accommodation nearby and the food availability is enough.The nearby temples are Panchamukhi hanuman temple, Mahalaxmi temple, Bichali, etc. The place has a poised environment and if you sit there for sometime in a meditative state, you are going to feel the vibration. Yet another work of nature. This secluded place is worth your time. 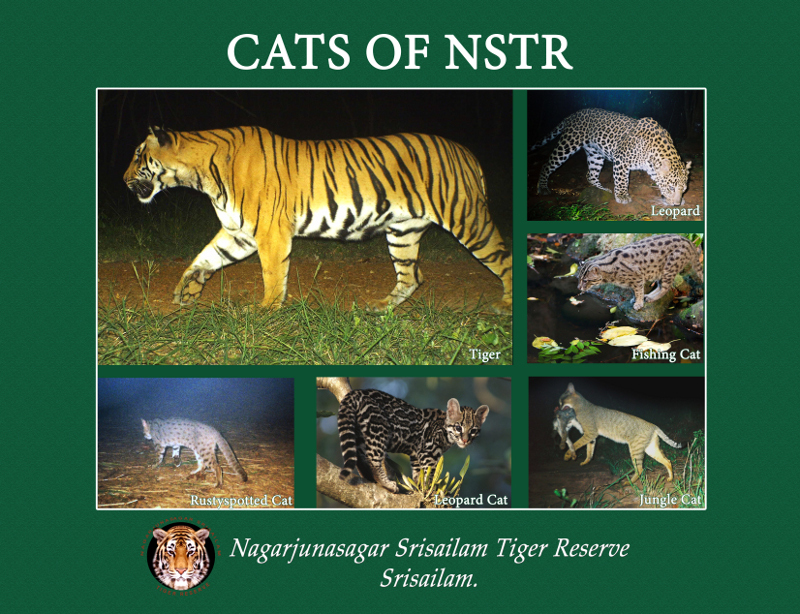 It is located some 20 km away from Kurnool, outside the village Orvakal. Go there to check the rock formation amidst the pool of water, to immerse yourself in the beauty of the nature. The place is famous for boating, rock climbing and a site for the film shooting. You can have a friend or family get together here and believe us, you won’t be disappointed. Don’t forget to carry comfortable shoes along with you. This temple was built in the memory of Shivaji, the maratha warrior in 1677 AD who visited the Srisailam on his way to the south. It is said that he built the north tower of the Srisailam temple, and also started the Anna chatra( for the poor). Goddess Padmavati appeared before him and presented him with the sword to fight for the dharma. Another story is that the sword was gifted by Tuljapur bhavani. The temple offers free accommodation, food and medical aid and has a life size statue of the warrior Shivaji in the premise. This temple is located right behind the Brahmarambha temple. Located at the confluence of Krishna and Bhavanasi. The temple gets submerged for some time and resurfaces when the water recede. Here you get to see the wooden Lingam, that is believed to be installed by Yudhisthir, the eldest Pandava after they visited the Srisailam Mallikarjun temple. The place has the religious importance as it is said that it was built on the confluence of seven rivers- Bahavnasi, Krishna Veni, Tunga, Bhadra, Bheemarathi and Malapaharini. The temple is one of the twelve Jyotirlingas of Lord Shiva and one of the 18 Maha Shakti Peethas. The temple is in Nallamala hills on the bank of river Krishna. A museum is the best place to get closer to the city and Kurnool museum is one such effort by the Archeological department of India. They have built this museum to let people peek into the history of Kurnool and get to know more. Artifacts, sculptures, ancient weapons, and some unique collections awaits you to have a silent conversation. It even has a beautiful location- situated near the river Handri. It doesn’t have an airport of itself, the nearest is the Hyderabad airport which is around 200 km away from the city of Kurnool. Kurnool happens to be on Secunderabad-Bangalore railways line and so is well connected to the other parts of the country. Roads: Kurnool falls on the NH7 and is well connected to other parts of the states. Hiring private cabs/taxis is another option.